Almost 40 militant attacks have been registered since midnight. The Russian occupation troops have carried out 39 shooting attacks on the antiterrorist operation (ATO) positions in Donbas since midnight, the ATO HQ said in its evening update on Facebook on 9 March. Three troops were reported wounded and two injured. In the Mariupol sector, the occupiers fired with mortars on Novotroyitske, Vodyane, Pavlopil and Bohdanivka, with grenade launchers and small arms on Lebedynske, Novohryhorivka, Shyrokyne, Chermalyk, Vodyane and Hnutove. A sniper was active near Talakivka, according to the ATO HQ. In the Luhansk sector, they fired with mortars of various calibre on Novooleksandrivka and Popasna, with grenade launchers and small arms on Novozvanivka and Stanytsya Luhanska. In the Donetsk sector, they used mortars of various calibres to target Avdiyivka, Dacha and Luhanske, grenade launchers and small arms against Kamyanka, Luhanske, Pisky, Nevelske, Zaytseve and Troyitske, and small arms against Mayorsk. Snipers were active near Avdiyivka and Zaytseve. 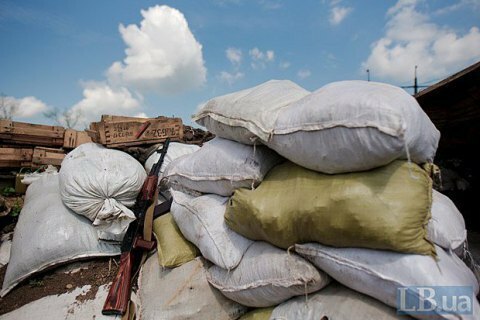 The ATO troops suffered no losses on 8 March but three civilians got wounded.